This show full of talent and passion is the result of months of work by these students and can be enjoyed on Thursday 12 and Friday 13 (sold out!) of May at the MaMa Experimental Theatre Club (66 East 4th Street). Get your tickets as soon as possible; there are very few seats left for Thursday! If you cannot attend “Al Son Son Flamenco” and prefer a spontaneous and free show, you have to see “Al Son Son Tablao” where students of the dance classes will show what they have learned during the year, including their ability to improvise in the purest tablao style. 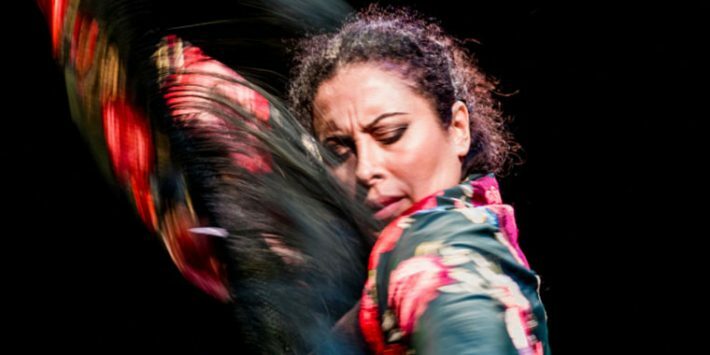 It is undoubtedly the best choice to savor authentic flamenco in its most natural form; on Saturday, June 3 at 8:00 pm at the Spanish Center of Queens (41­01 Broadway, Astoria). There will be a buffet of Spanish tapas!